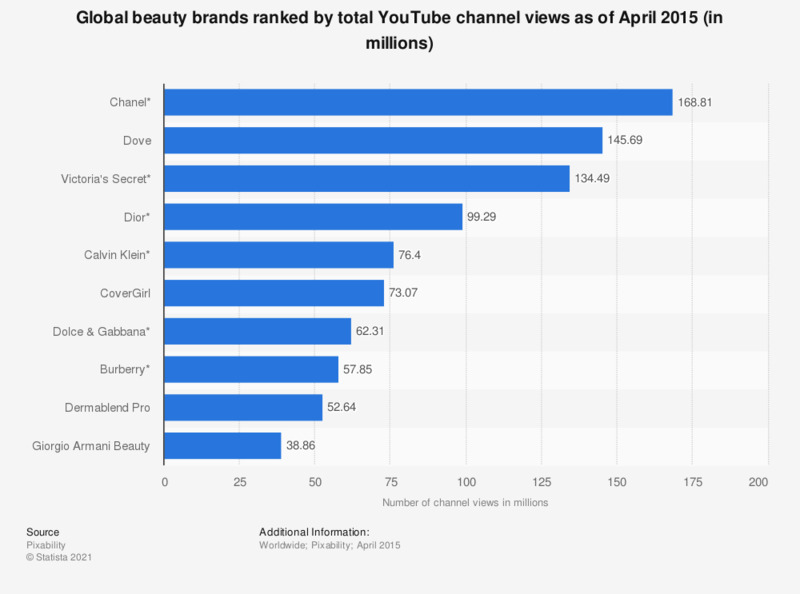 This statistic presents the most popular beauty brands worldwide ranked by YouTube channel views as of April 2015. During the survey period, it was found that personal care brand Dove had approximately 145.69 million cumulative channel views. *Brands with mixed product lines including fashion products, handbags, etc.